Heroic Children represents every stripe of young Jewish victim, from every corner of Europe and from every religious, national and socioeconomic background. What they all shared in common was an iron will to live – but not at all costs. Their determination to hold onto their dignity and principles makes these unforgettable stories a zenith of human achievement. Heroic Children, a work of prodigious scholarship and spellbinding narrative, is a new and compelling way to teach the history and universal lessons of the Holocaust. The events of the Holocaust, as they unfolded, created an awful disruption in the most primal connection of all: that between parent and child. Since the beginning of time, parents have leapt through fire and every mortal danger for their offspring, pledging that they will always be there to protect them. Is this not the message of every lullaby, in every language and every culture? It is a promise from mother and father to their babies that they will be safe, that all is right with their world. But Europe under Hitler was a place where Jewish parents were unable to keep this sacred pledge. The Nazis preyed upon the Jews’ innocence, decency and wishful thinking, employing highly sophisticated methods of deception to ensure their victims’ ignorance of what lay in store. This technique―coined by Hitler as “The Big Lie”―was honed to perfection by Joseph Goebbels, his minister of propaganda, who declared: “Repeat a lie a thousand times, and it becomes the truth.” The Jews throughout war-torn Eastern Europe were jobless, hungry, and living in fear of bombings and arrest. They saw their synagogues burned and their rabbis publicly shamed and murdered. Thus, when the Germans informed them that they would be “relocated” to points “east,” where they were promised shelter, food, work, schools, and reunions with relatives, they were hopeful. Any fears of the unknown were significantly reduced by the receipt of postcards bearing upbeat messages from recently deported loved ones―messages those doomed individuals were forced to pen shortly before being herded into gas chambers. "We cannot change the past, but by remembering it, we can change the future. On no issue is this more vital than the Holocaust, all the more so since the survivors are growing older and fewer, while anti-Semitism, almost unbelievably, has returned to the arena of global politics.This makes Rabbi Hanoch Teller’s masterpiece, Heroic Children, a necessary work as well as an outstanding one. It is an astonishing collection of stories about child survivors of the Shoah, each gripping narrative of courage, defiance and hope, a flame lit by the human spirit in the darkest night history has ever known. A superb and unforgettable work." 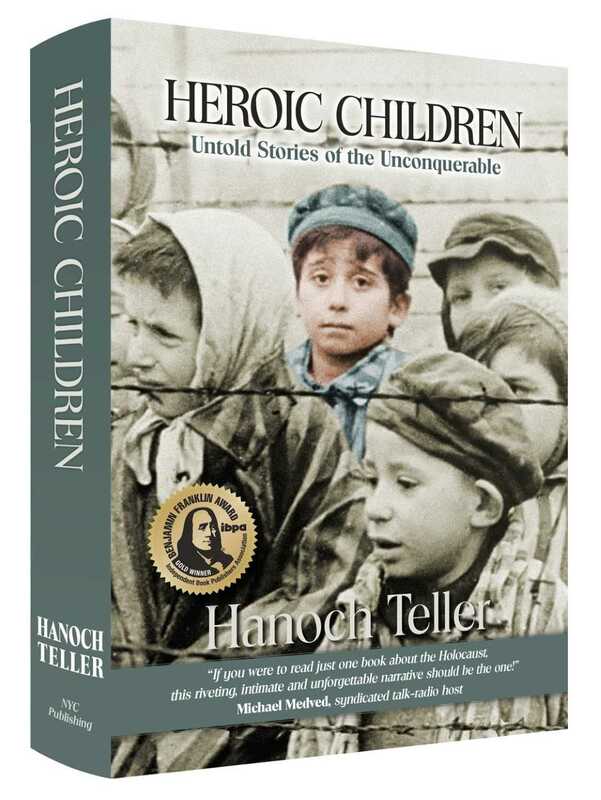 "For the stories in Heroic Children, conveyed so poignantly and accurately, Hanoch Teller has put all of the students of the Holocaust – and of the human condition – in his debt."